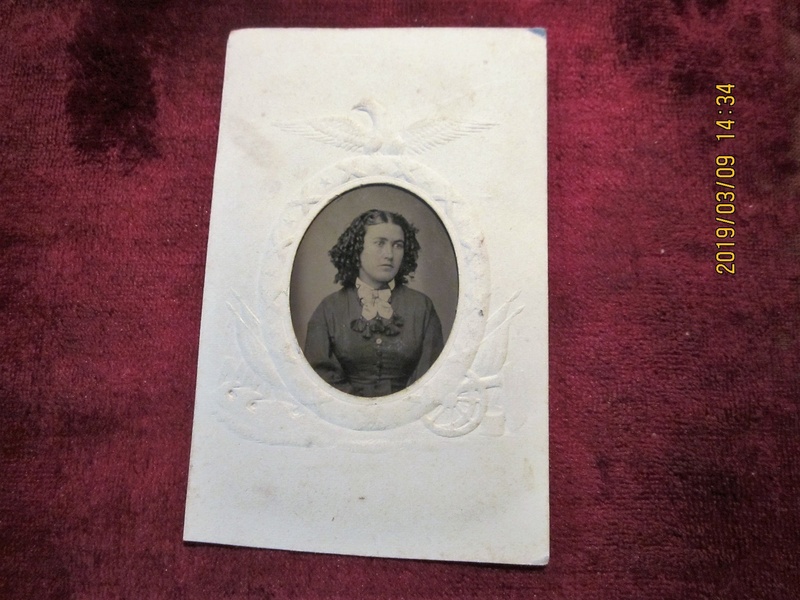 Lady's tintype with Civil War mat. In Military and Wartime > Civil War > Show & Tell and Photographs > Tintypes > Show & Tell. has a tintype of a perhaps rather sad young woman. Did she lose a husband, or brother to the war?